This team began to form in August 2016, we have planned, prayed, laughed, cried and grown together as a team of 22. Our mission this time is to love on those who make Hogar De Vida run day in and day out. We go with wide open, expectant hearts of what God will do both through us and in us. 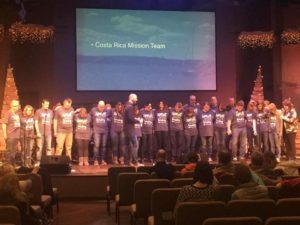 This blog will be updated most every day and we will share it and give you little snippets of what God is doing while we are there. The other way we’d love for you to join us is in prayer; big, bold prayers, prayers that God would move in amazing God-sized ways, and for our eyes and hearts to be open to all of it so we don’t miss a thing! We are so excited to see what God is going to do! !